I ran away....Figuratively and literally. 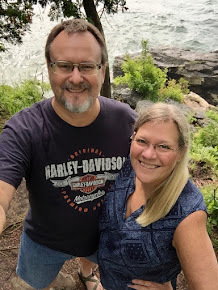 A couple weekends ago, my hubby and I ran away from home for the weekend and did a little bit of retail therapy. My stash has increased and I bought the Hex N More ruler by Jaybird Quilts. Only skimming emails and blogs. I'll get back to reading and commenting one of these days. AND! 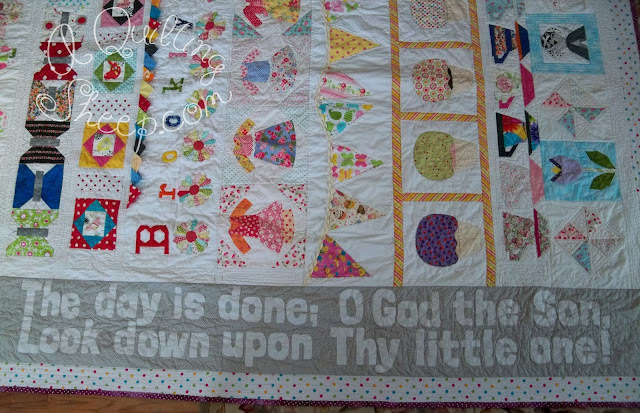 I finished Brooklyn's quilt. The weather here is terrible, so the inside shots will have to do. The pictures will have to be my words for now. Final measurement: 93" x 82"
I'm so sorry things are rough right now. I'm glad you were/are able to escape and rejuvinate. Your family is in my prayers. I am sorry too. I know there are things that just grieve a mother's heart. I will be praying for you and them. Holding you and your children in prayer. No matter how old our children are it grieves our heart when things are difficult for them. Especially when it is between them! Your quilt is beautiful!!! She will love and cherish it. This is such a gorgeous quilt. I love each and every row!! It is hard when our children are in pain. My daughters are so very different from each other. This quilt is very beautiful and you have done such great work on it. I am sorry for the woes with the kids. These things make a mom's heart heavy. I will be praying for you all. don't be gone too long! beautiful quilt. said a prayer for your family. 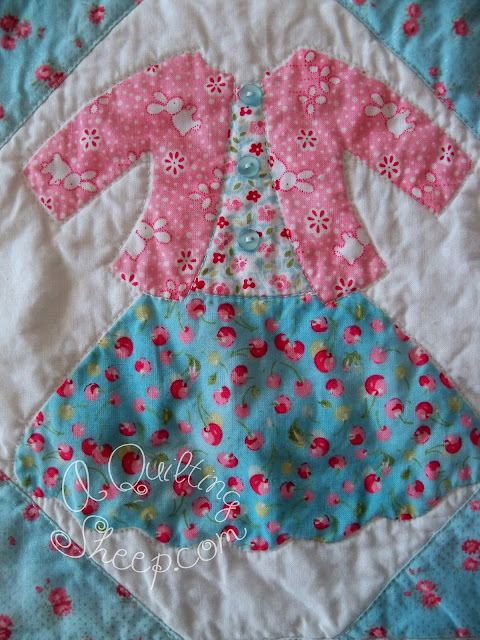 Brooklyn's quilt is a quilt to savor and examine in detail with all its little treasures...perfect for a little girl. I just love how you combined so many amazing elements in such a "pleasing to the eye" way! Adorable! I pray that God will continue to guide you, hold you and comfort you in these stressful times and that your childrens' eyes will be opened to the toxic things or people in their lives. All the best to you, Amy, and hang in there...all your cyberfriends are there for you and praying for you! Praying for you and your family. Such a lovely quilt for Brooklyn. God is our refuge and protection, find time to drink in his word to bring healing and health to your soul. Dear Amy, first I am so sorry you are having troubles with your kids. You did the right thing with that fabric therapy...works all the time...hehehe. Second, you are so creative and patient. Please tell me you did not cut each and every letter and applique that to the quilt. Oh heavens. I would have pulled out my hair. Brooklyn has a one of a kind quilt and Grandma. Praying things quiet down for you. I'm so sorry your heart is aching about your older children! 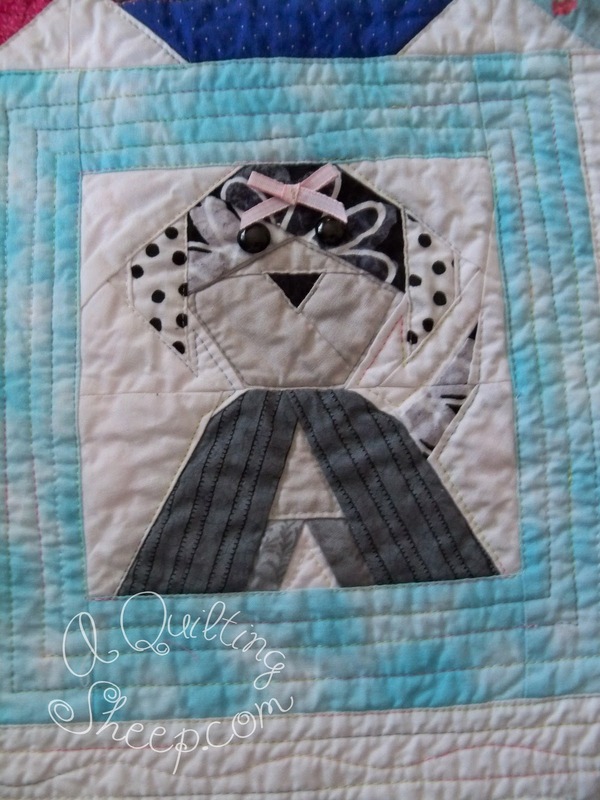 Your finished quilt is simply adorable!!! What a great quilt for Brooklyn. Congrats on such a pretty finish. Sorry about your older kids. Hope it all turns out well, soon. Thinking of you my friend. I hope things are getting better for you. Brooklyn's quilt is beautiful. 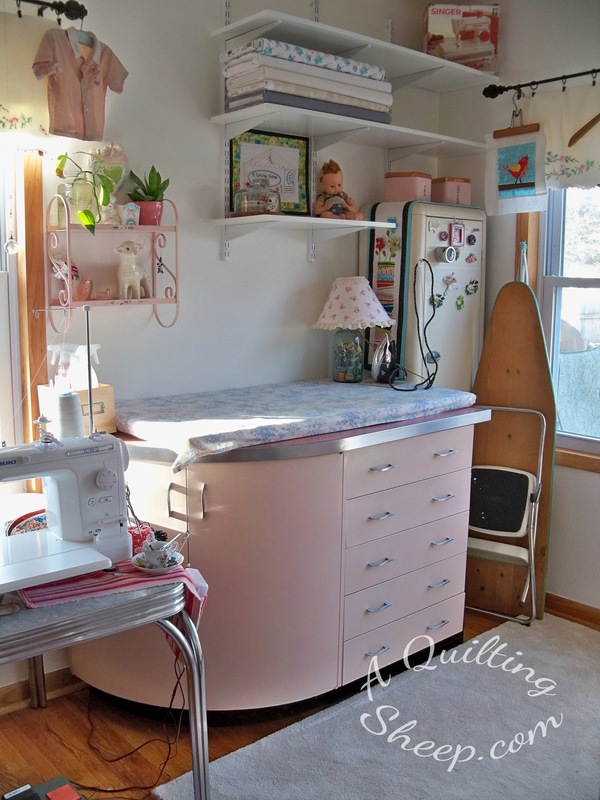 Maybe someday I can have the dedication you do and create beautiful quilts too. Oh Amy....this quilt is just so precious! I love it! So sorry to hear that your 2 oldest are battling each other. I hope they work it out and get their relationship back to a healthy place. So very sorry about your older kids' sad choices; can sooooo empathize with your breaking heart. 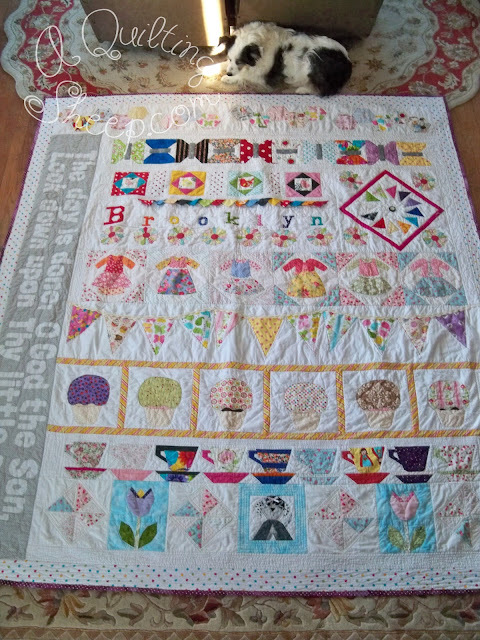 Brooklyn's quilt is one of the best, most joyous quilts I've ever seen. I hope she'll treasure it for decades! You really have hit on a vintage/modern with this one, what a beauty! Brooklyn will adore it, for sure! Brooklyn's quilt is gorgeous! I think each row is my favorite...until I look at the next one. :) She will love it! Praying for all of you. Brooklyn's cute turned out fantastic. Children, even the adult ones are a test at times to our patience. A lot of prayer, and time and mine have finally gotten to a better place with each other. Beautiful work!! I will keep you and your family in my prayers. Hugs! 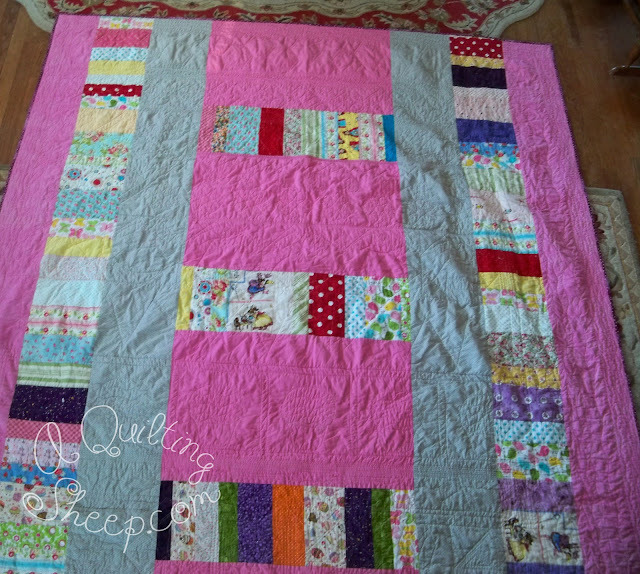 Your quilt is so cute! Even my two grandsons, ages 5 and 6 stood next to me and especially loved the cupcakes. They each picked their favorite. You must be so pleased with how it came out. 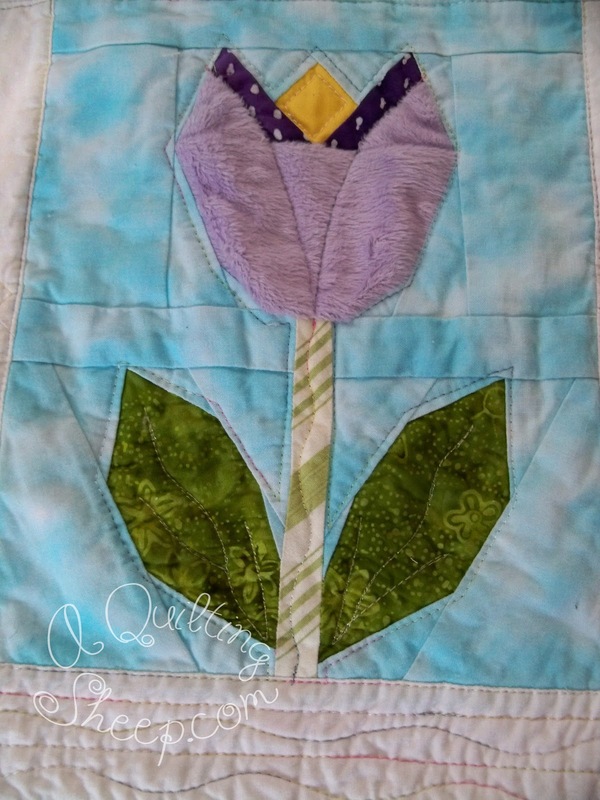 So much love went into this quilt! I'd also like to say I am sorry about your family stress. I will pray for it all to be healed and all relationships be restored. 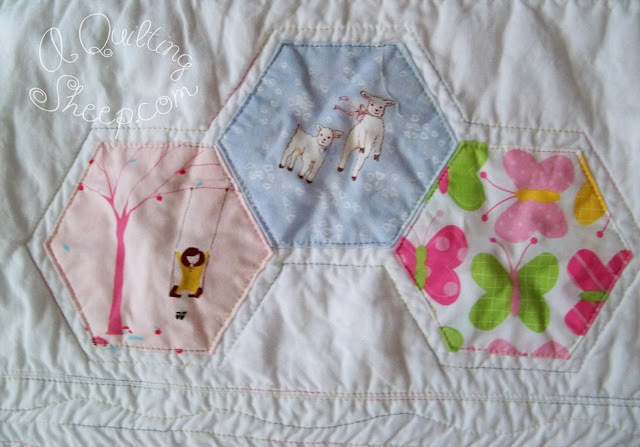 Lovely, happy, sweet quilt. You did an awesome job! Thanks for showing all the closeup pics. Sorry your kids are at each other. Yes, it agonizes and tears us moms apart. Can you imagine how the Lord feels when His children don't get along? Tears his heart out, too. My prayers are with you. Keep telling them you love them, God loves them, and you believe they will make their peace SOON! Dearest Amy, I'm so sorry you have such heartache right now. I'll pray for healing within your family and peace at heart. Even if you only glimpse the comments on here, I believe you can see how deeply many of us care for you and the well being of your family. Take heart that you are not alone. As for Brooklyn's quilt, well done. It's is absolutely stunning. I wish for a thimbleful of your talent. Amy: Many prayers for your family. We will uphold your family and yourself in our prayers so that they may discover God's comfort and peace and you will be sustained by God's compassionate love always knowing that you are not alone in your trials. Wow! 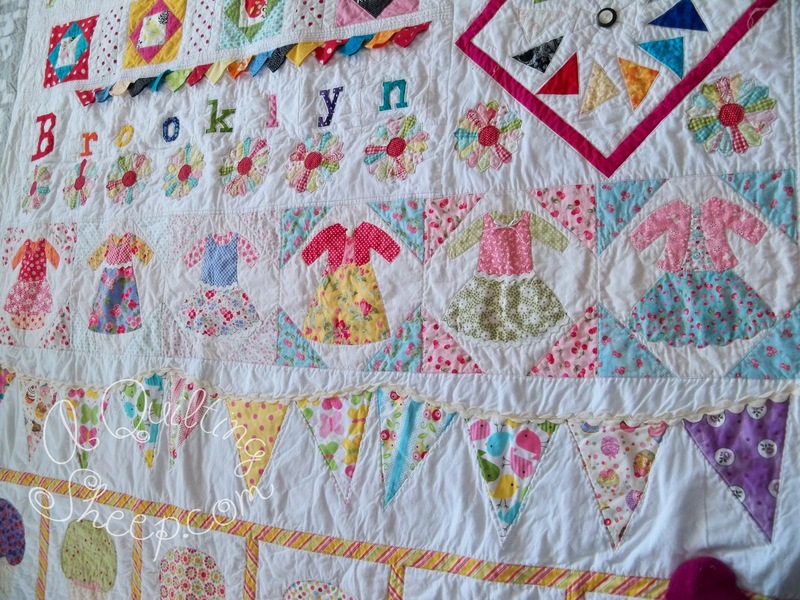 Brooklyn's quilt is beautiful. Awesome job Amy. What a delight of colours and blocks. A happy quilt indeed! You have such a creative mind and spirit! I will keep your family in my prayers! 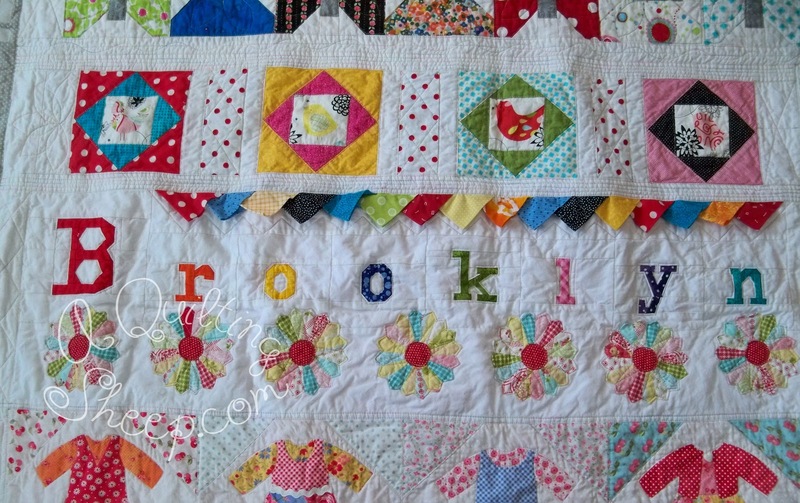 Brooklyn's quilt is just lovely! I'm sure she will treasure this quilt made with such love! My Mother's heart is heavy for you and knowing all to well what that hurt feels like. I found that (as you all too well know) that Prayer is the most powerful weapon to use in the war raging between your 2 older children. In my situation, I hand-stitched on a quilt specific for the person I was praying for and each stitch taken was done in prayer. I found it very therapeutic, calming, restorative, and in the end, God answered my prayers in a way I could have never imagined! Each of my children know the prayer prayed into every stitch. I hope it reminds them of the power of a praying mother! They often quip to other people going through a difficult situation, "we'll get our mother to do her praying thing" and I promise it will get better! LOL!! That's God's Power Not Mine!! My heart hurts for you so I will pray for you all. So painful. Been there and done that. All I can say is that in time, God can redeem ALL things. Hugs. Oh Amy how I know your heart is heavy. I will keep y'all in my prayers and hope everything works out. 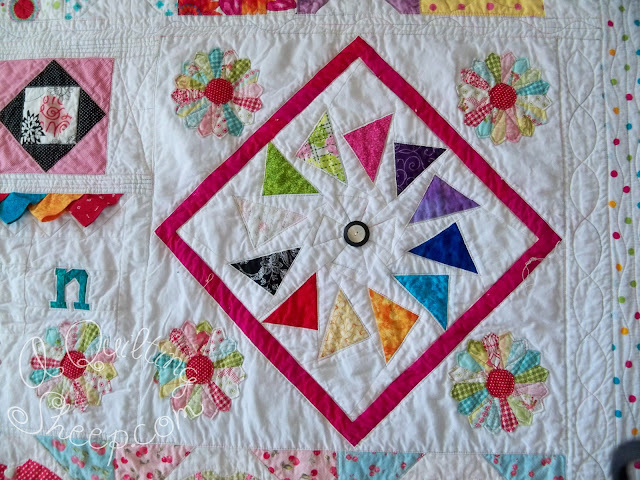 On the up side you quilt is gorgeous down to every detail. You did a beautiful job. I'm so sorry about your family troubles. I've been wallowing a bit, so I haven't been on top of my reading. But I LOVE that quilt. Love the tulips. Love the hexies. Love the colors and butterflies and everything! Quilty gorgeousness. I hope and pray that things will begin to work out. I have a difficult relationship with my oldest sibling. I know it hurts our mother, but it is what it is. Bless your whole family! Hi Amy ~ Sadly my older sister and I are the two children my Mama weeps over. I do, too. I love my sister. But, I don't like her. We are as different as two people can be. She lives less than a mile from me and I "maybe" see her once a year. It goes back to our early childhood. And, it is painful. The biggest difference is that while I choose to walk with Jesus, she has not chosen that for her own life. The only thing I can do is to pray for her. I long for her companionship. For the friends we were when we were very small. Mostly, I Pray that we can come together before my Mom leaves this earth. For HER prayers to be answered. I LOVE the quilt you made! Every single thing about it is beautiful. What a precious gift for a special little girl. 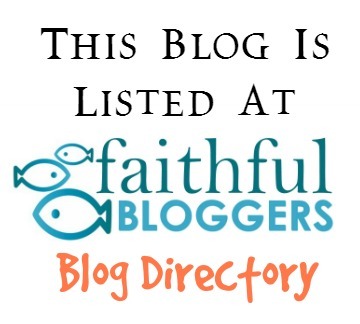 I added your blog to me Bloglovin' Feed, so it's easier to keep up with your posts. I had to smile when I looked at your side bar and saw that we follow so many of the same blogs! Gorgeous quilt!! I hope things improve for you and your kids. Hope things are going better for everyone. 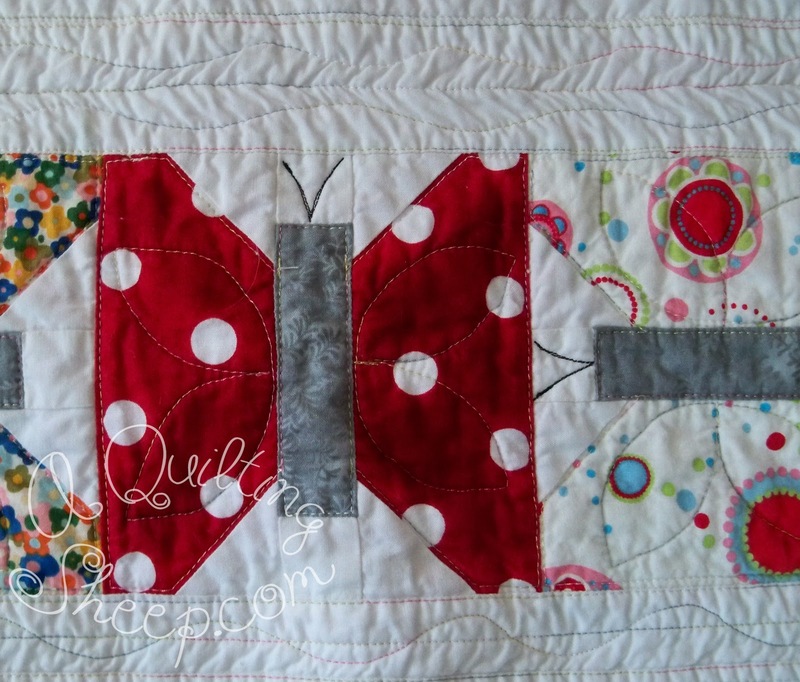 I say, Amy, this is by far my favorite of all the quilts I have seen you make!!! I is just the sweetest and so very creative, fun and colorful!! What a joy it will be for your granddaughter!